Craigslist is one of the most popular websites for buying cars… and why shouldn't it be? Instead of finding and pouring over a hundred local dealer sites, you can see what all of the dealers in your area are selling in one simple search. Unfortunately, with popularity comes abuse. Scammers have latched on to the site at record numbers. 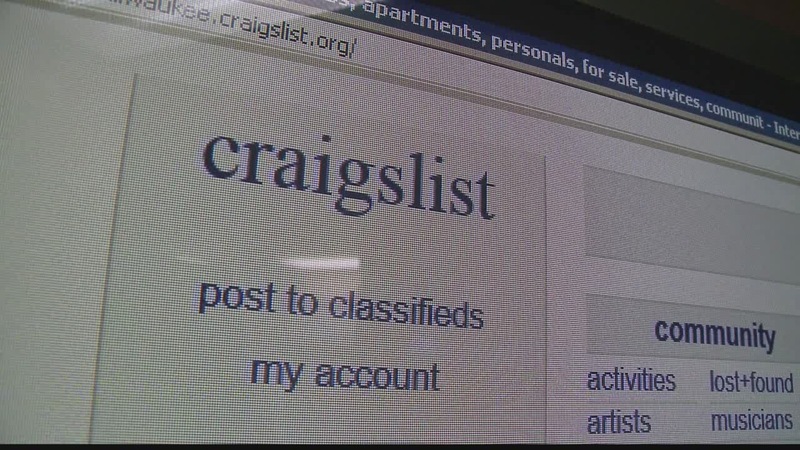 Craigslist has made huge changes to how dealers post to combat the scammers, but with any website that commands millions of visitors each month it attracts bad people trying to separate you from your hard earned money. Here are the most common scams and some tips on how to avoid them. Scammers are experts at creating top quality forged checks and money orders. They will even add validity to their claims by telling victims “go ahead and deposit the check, I’ll wait for it to clear your account”. The problem is most banks clear every check (good or bad) that goes into your account after a one or two day waiting period. It isn't until a few days later that the bank realizes the is bad and debits your account for the loss. The money may be available to you and you will even be able to withdraw the cash after 24 hours, but the bank will eventually realize the deception and take the money back out of your account, leaving you owing the bank whatever amount you used as well as any charges and fees. They can be a soldier, sick child, Nigerian prince, oil tanker worker or a researcher from Antarctica. They sound pretty ridiculous when you put them all together, but these are all popular and effective Craigslist targeting methods. You will get an email explaining their inability to meet or talk to you on the phone. Whatever the back story, they will convince you they are forced to sell quickly. They will send you an email explaining a great service from Worldpay or Ebay that will hold your funds until you notify the company that you are 100% satisfied. Unfortunately, these emails are fakes and by the time you/ realize the car never even existed, the thieves long gone. This one will pay you with a check and suddenly realize that they “accidentally” sent you too much. They’ll ask you to wire them the overage and by the time you realize the check is bad, it's too late. In another common version, the seller includes extra money in the check to cover shipping, which he wants you to wire to his “shipping company “, of course. They will offer you the “added security” of using Paypal. You will receive an email shortly after verifying that the funds have been received. Unfortunately the email is a fake, and once you hand over the goods it’s too late. “Phishing” is a common scam where thieves attempt to get financial information so they can steal your identity and get as much cash as they can out of using your name. The common Craigslist version of this is a seller sending you a link to set up your Paypal account. The link they send is to a Paypal mirror site. It may look exactly like the real thing, but it’s not. You enter your credit card and personal information and just like that, your identity is stolen. It can take years to recover financially from identity theft. This one is one of the most dangerous since it involves the possibility of physical danger. You will be asked to meet. They will explain in one way or another that they can’t meet you during the day, or in a safe place. You show up with the wad of cash in your pocket thinking that if you don’t want to buy the item, you can just walk away. The seller knows you will show up with the cash in case you want to purchase the car and takes off with the cash and whatever else you have on you. The seller will lull you into a sense of security by insisting you use an escrow service to protect themselves from you. Even though there are legitimate escrow services out there, the seller will direct you to a fake. Not only will you be out the cash, the thief will have all of your personal and financial information to steal your identity. In this one, a buyer will respond in email to your ad indicating that they are interested in your car. They will tell you that they are unable to talk at the moment, but if you just enter your information into their phone service on a site that stores phone numbers for them, they can call you back later. In reality, that “service” is actually signing you up for a monthly fee. The fee amount varies greatly, but phone storing sites that charge a nominal fee can be getting money from your account for months before you even notice. There’s also no way to cancel. Another version is to give you a number to call that appears to be their answering service. It’s actually a pay-per-call number, and you could be charged twenty dollars or more for the phone call. In this scheme, you’ll receive an “official” email supposedly from Craigslist ensuring you that they have completely verified the seller and they approve the transaction as safe. It will indicate that you are protected under Craigslist “refund policy” and will be reimbursed in the case that you are not completely satisfied. Again, the email is a fake, and the seller is off with your cash. As with any online shopping, always make sure you’re on the correct page. Spoof sites can be very convincing and the websites address may be an unnoticeable one or two letters off of the correct address. Craigslist’s official address is www.craigslist.org. DO NOT WIRE MONEY TO ANYONE! DO NOT meet people alone! DO NOT believe that Craigslist will help you when a transaction goes bad. Craigslist is very clear that it does not involve itself in any transaction. DO NOT purchase anything without seeing it. In person. DO NOT accept checks or money orders. ONLY accept verifiable funds. DO NOT use any kind of escrow service, “payment service” or Paypal. DO NOT deal with people “in a rush “or “oversees”. DO deal locally with people you can meet in person. DO deal with dealers that list their name and address in the ad, along with their website.